Our 'This Is My Year' fan-challenge continues to roll on for another week, can you believe it's been 13 weeks already, where did the time go? Thanks to all who voted last week and we welcome you to participate again. 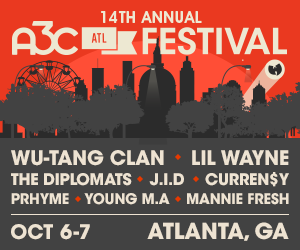 We've been breaking artists since '05, and are always looking for the best up-and-coming MCs to showcase at A3C Festival & Conference. We listen to hundreds of hip-hop artists each week looking for talented indie artists from around the world. 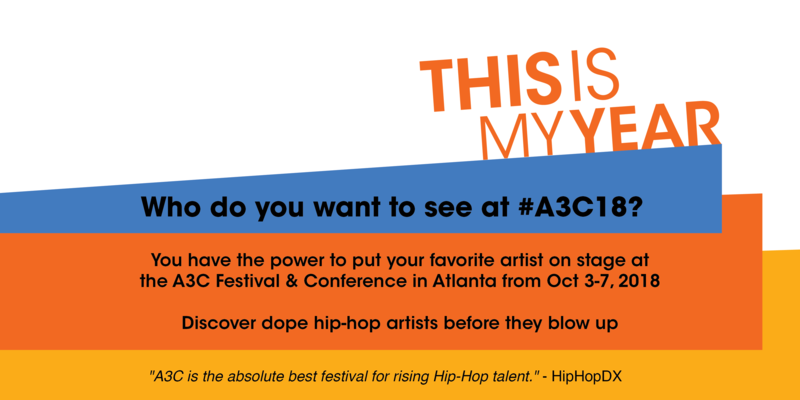 If you show your support for up-and-coming hip-hop artists and VOTE, we’ll send you a discount code for $10 off an A3C, Festival or Conference pass. RETRO is a Detroit native attempting to take the Atlanta hip-hop industry by storm with his lyrical flow, unique, creative swag and charismatic, suave personality. Get to know more about RETRO and watch "Money Code Talk". Mic Bless is an American Hip-Hop artist hailing from Los Angelus, he brings a refreshing take on the authentic Boom-bap sound. Get to know more about Mic Bless and watch "Chemical Bars". om Charlottesville Virginia. Both coming from two completely different backgrounds, their lyrics are fun, yet quirky, dark, yet conscious. Get to know more about EquallyOpposite and watch "God Mode reached"
Rolling Stone P, urban artist from Newark, NJ. He has quickly gained steam in the NY/tri-state area with his unique style and connection to his crew, the Kool Weirdos. Get to know more about Rolling Stone P & watch "BANG". Luxe is a Toronto hiphop producer and artist that combines styles from various genres to mold his own sound. Get to know more about Luxe and watch "Brodies". Phoreign is a 25-year old Yonkers raised rapper who draws influences from his personal experiences living in the hood, heartbreaks and his journey through life. Get to know more about Phoregin and watch "City Going Crazy".